You are here: Virgin Islands News Online » News » BVIAA enters into an agreement with WSP Canada Inc.
BVIAA enters into an agreement with WSP Canada Inc.
carry out a public private partnership feasibility study to evaluate the feasibility of a PPP transaction for the Terrance B. Lettsome International Airport. WSP is one of the world's leading engineering, professional services and consultancy firms, with over 42,000 staff, in more than 550 offices, across 40 countries. Among their broad range of services spanning varied sectors, WSP provides airport financial consulting services including project feasibility, financial planning, funding advisory and alternative project delivery. The PPP is expected to be one of Finance, Build, Operate and Transfer. The consultancy with WSP includes a market sounding to ascertain interest from the market players in a transaction for the expansion of the runway and related airside infrastructure via a long-term concession. iv) Lead the arrangements with the preferred bidder. 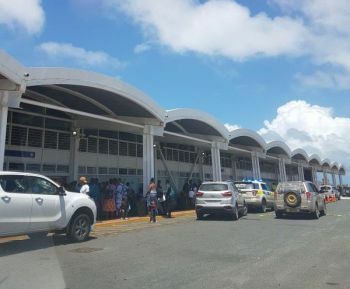 BVIAA is committed to providing the British Virgin Islands via this PPP, with a world class airport facility that provides direct access to the US mainland and as such increased runway length is just one aspect of the overall anticipated development. Terminal expansion, improved baggage handling, enhanced air cargo services and an expanded FBO facility for the handling of private jets are also be included. It is a fact that prior to Hurricane Irma, we led many of our Caribbean neighbours in terms of tourism product and overnight visitors but remained decades behind them in terms of airport infrastructure. As such, and given that the BVI’s economy relies on tourism as a key pillar, it is essential that we continually improve our facilities to meet the demands of this vital industry. As we are on the road to Recovery .I hope considerstion will be given to the fact the country has gone back 10 or more years and we welcome all asssistance we can get and not forgetting discount and free labour material etc and of course free financial asssistance. This is the most intelligent thing I have seen yet regarding the airport. WSP is a Solid, above board, corruption free company that will take a long, hard look at the airport and give solid advice. Getting the Chinese company CCC involved would have been a horrible, horrible choice.